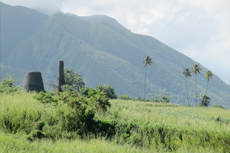 With a population hovering around 35,000, the small island of St. Kitts is a gem of the Caribbean. Home to a plethora of beautiful beaches, the island also holds Brimstone Hill Fortress National Park, the largest fortress ever built in the Eastern Caribbean and among the best preserved in the Americas. Book the $15 tour with Ms.
Really cool island hightlights. Ran into Prince Charles at the fort. Fun time! Boat ride to Nevis and then island tour in open air truck. Met with group in the shopping area near the pier. What made this excursion so fabulous was the guide, Bertrand. I felt this excursion was rushed a little bit. I felt this excursion was rushed a little bit. We were packed into vans which were a little uncomfortable and I would have enjoyed spending more time at the locations. We took a tour with Rosevelt Taylor, who was very friendly and knowledgeable. Tour of town followed by ride to and from a beach with snorkeling. Loved this tour with Royston ! Loved this tour with Royston ! He was amazing ! The lunch he provided was awesome ! He was very informative of everywhere he took us . Will definitely take this tour again when we return to the island ! Tour of Island in an open air vehicle. Tour of Island in an open air vehicle. Tour operator put too many people in vehicle. A fun run around the island and the complimentary drinks were great. A fun run around the island and the complimentary drinks were great. Met with some very nice people on the far side of the island and enjoyed the tour narrative. Thanks to Sir Ian Clarke, great job! For $20 each, Earl and his assistant drove us around the island in an open air vehicle. Our tour guide was great. Our tour guide was great. The vans were open-air and bumpy, but the breeze was perfect! Royston is very knowledgeable about the island history and took us to places I don&apos;t think most tours go. Felt like we had the inside track. Once onshore, you have plenty of opportunity to book a tourguide for about $20. The tour was interesting. The traffic was horrible, glad the drivers know how to drive. Small group independent tour around the island. St. Kitts is a beautiful island. Our tour guide was nice and knowledgeable. The taxis to the beach are more expensive than the Bahamas. Saw so much in such a short time. Saw so much in such a short time. Romney Manor, Brimstone Fortress, beaches, Volcano, etc. Thenford took us to Pirate beach that had black sand and the water was so warm. Thenford took us to Pirate beach that had black sand and the water was so warm. We had monkeys all around us and REALLY enjoyed seeing the Atlantic and Caribbean ocean meet. We went to Nevis, toured the island, and ate like Nich on a beach. Toured the island in a 12 passenger taxi.